Boys Getting Ahead From STARbooks Press! 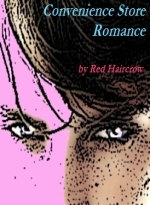 Convenience Store Romance by Red Haircrow, that’s me. A semi-autobiographic short story (guess which character I was!) I completed in early 2009 and finally had the courage to submit. By a process I don’t remember, I chose StarBooks Press to submit my little piece to. How surprised and delighted I was! And completely shocked by the speed of the turnaround. Please visit STARBOOKS PRESS website to order this tasty book, and I must admit the cover pic is HOT! Am so pleased with it. ALSO AVAILABLE NOW BY PRE-ORDER AT AMAZON.COM “Boys Getting Ahead” edited by Mickey Erlach! Posted in Book Releases, Personal Entries. Tagged gay erotica, gay fiction, gay romance, new book release, new release, red haircrow, starbooks press.